ps fall is GORG in Santa Fe and would be my recommended time to visit. The aspens are changing colors and it’s simply the most picturesque place I’ve ever experienced. Ojo Caliente - Ojo Spa will rock your world. Sacred land, legendary waters. Mm-hmmm. It’s like an hour away from Santa Fe but so worth the drive. 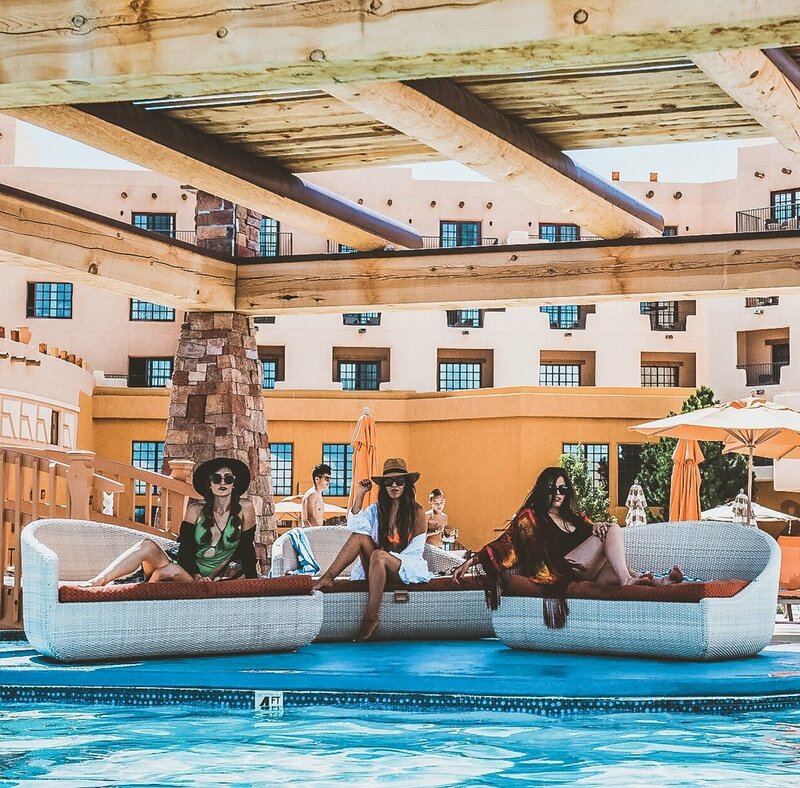 Relaxation at its finest and a true southwest experience. Jemez Mountains - Hike to San Antonio hot springs (I’m pretty sure this is the right name) it’s not the one that’s right off the road. My friend Lauren and I hiked about 10 miles roundtrip during a blizzard and it was EPIC. I would do it over and over and over again. I plan to. 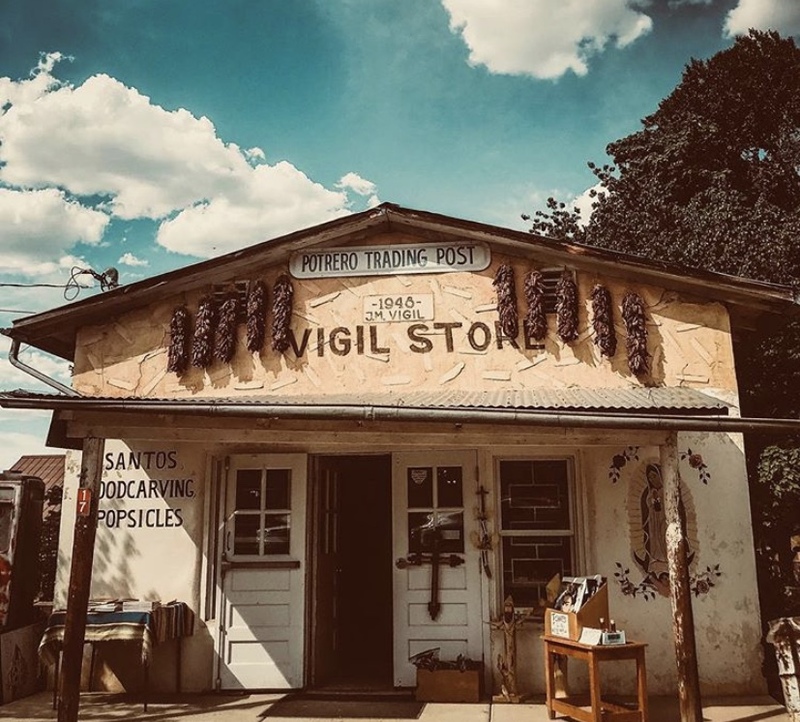 Purple Adobe Lavender Farm - In Abiquiu, NM is about an hour drive from Santa Fe. I took my grandpa there for his birthday and we picked lavender together - so special! Beautiful landscape and a quaint little gift shop. There’s also a tea house on the property. It was closed by the time we arrived but the menu looks scrumptious (lots of lavender delectables). Santa Fe Farmers Market - Make sure to make time for this - it’s a MUST - regularly voted among the top 10 markets in the country. 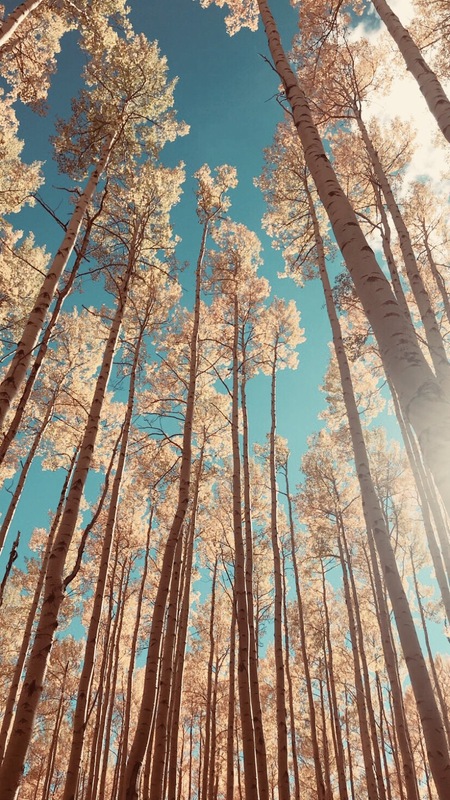 Santa Fe National Forest - Just stunning, especially in the fall. I mean - those aspen trees. Hiking in the midst of these gargantuan beauties will change your life. El Santuario de Chimayo - Holy dirt + healing power. This National Historic Landmark is truly one of the most peaceful places I’ve ever experienced. Read about it here. Opuntia - Avocado toast with a poached egg. Modern General - I really like the housemade rolled oat granola + juices are pretty dang good. They also sell from molly with love products, my favorite is the crown chakra spray. The Compound - Everything is delicious. Geronimo - This place is exceptional, y’all. I mean mouth-watering, amazing. I love grabbing a glass of wine and some snacks in the lounge too. Radish & Rye - You just wanna go here for a hot toddy in the winter, no questions. Inn & Spa at Loretto - Enjoy the happiest of hours and get the chips, salsa + guac just for fun. Shake Foundation - I’m not kidding, the lavender ice cream is one of the best things I’ve ever tasted. Ever. La Choza - Come on, you can’t go to Santa Fe and not eat at La Choza. I’m not a marg person but they’re kinda known for ‘em and I would highly recommend the chicken taquitos. Funny story - when I moved to Santa Fe and didn’t know anyone, I decided to go to dinner by myself (for the first time ever 🙈) and take a book with me. Thought I would check out a little hole in the wall spot and mind my own business. So, I decided to go to La Choza. Wrong idea. It’s not “little” and it’s not a “hole in the wall” either LOL I still get uncomfortable even thinking about that experience, ha. La Boca - I can’t even browse the menus online. I feel ravished and am suddenly craving patatas bravas and paella. The best Spanish tapas around town. Tune-Up Cafe - I used to go here by myself before I knew anyone in Santa Fe - once I got comfortable doing things on my own (that in itself can be somewhat of a humbling, growth experience, ya know?) I grew to love the brown rice nut burger (and french fries, of course). Simple, laid back spot. Buffalo Thunder Resort & Casino - This is actually making the list because it’s my mom’s favorite place ☺️ but, I like it too! And, wrote a blog post on a staycation I had there in the fall. Temple + Tribe & Thrive - Two studios I thoroughly enjoyed. I would pop into Temple + Tribe any chance I got - unfortunately the class schedule didn’t work well with my work schedule BUT when I had a little freedom in the afternoons or could convince myself to crawl out of bed early, I was there. Shane Brill is my favorite instructor, just sayin. I love hot yoga, soooo Thrive was my regular spot. There are lots of classes offered throughout the day on weekdays and some good weekend classes too. Power Flow with Julie Reynolds was my jam (especially when I was at the top of my strength game). Art.i.fact - Just my favorite upscale consignment store * OF * ALL * TIME * Cannot walk out of that store without a fashionably chic piece in-hand. Jennifer and Michael are the owners and were truly meant to do this for a living. Jennifer has impeccable taste and carefully selects pieces that are drool-worthy. 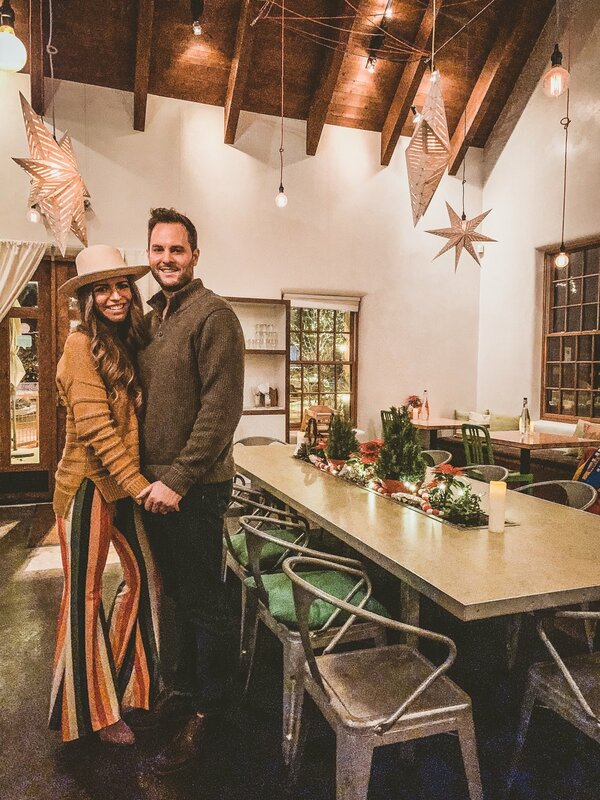 Get Santa Fe styled while you’re in this festive, sacred place. better together - Daisy is awesome, y’all. Her cute little store is filled with trendy, comfy clothes you need in your closet. From hats to sweatshirts to denim overall rompers - you won’t be disappointed. El Rey Court - read all about it here! 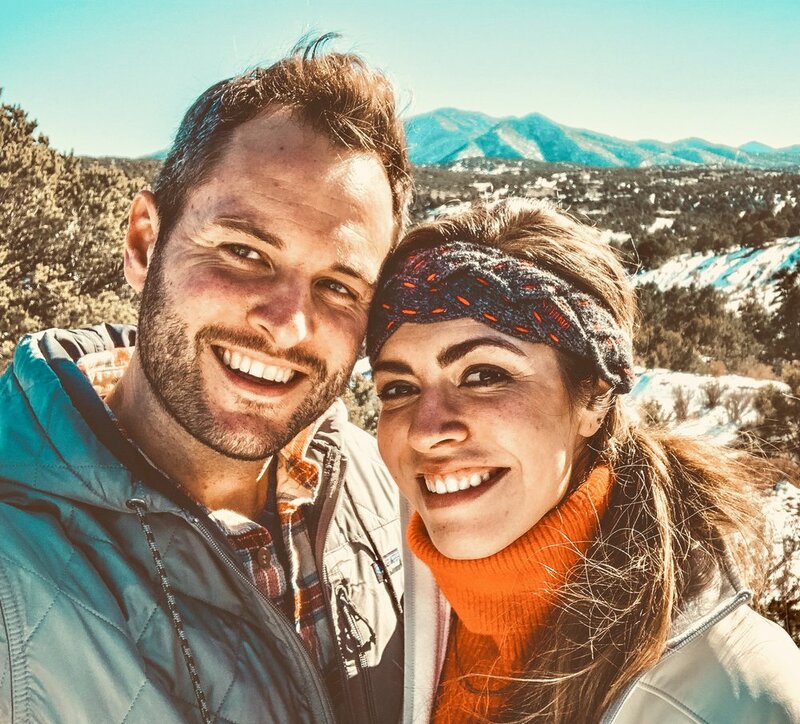 You could have a family photoshoot with the talented Chelsea Call, hit up Meow Wolf (an insanely unique experience) and go to the Albuquerque International Balloon Fiesta (also pretty freakin cool) if you time the trip just right. I never made it to Kasha-Katuwe Tent Rocks BUT it’s first on my list for when I return. Also, Restaurant Week is a great time to visit - check out my post on some of the places I enjoyed last year - usually takes place in late February through early March. If you wanna go out on the town, check out Tonic or The Palace Restaurant and Saloon. Tonic has live jazz music, cool cocktails and tasty snacks. The Palace often has live music and karaoke on Thursdays - vibey place and always an interesting crowd. Okay, so this took wayyyy longer than I thought it would (3 days of writing when I had spare time!) but I wanted the list to be comprehensive and provide additional information where possible. There ya have it - my guide to the ultimate experience in the southwest. Let me know if you check out any of these places and if this list proved to be useful! 86 room roadside adobe brick motor court? 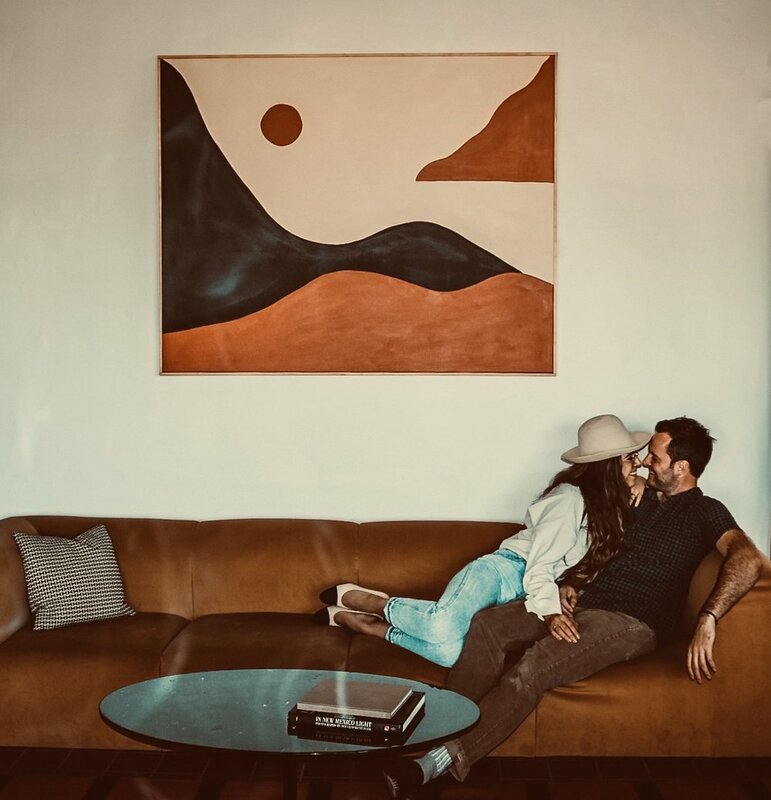 Yes, please 🙋🏻‍♀️ Santa Fe’s charm will never grow old as long as swanky little spots like El Rey Court exist! 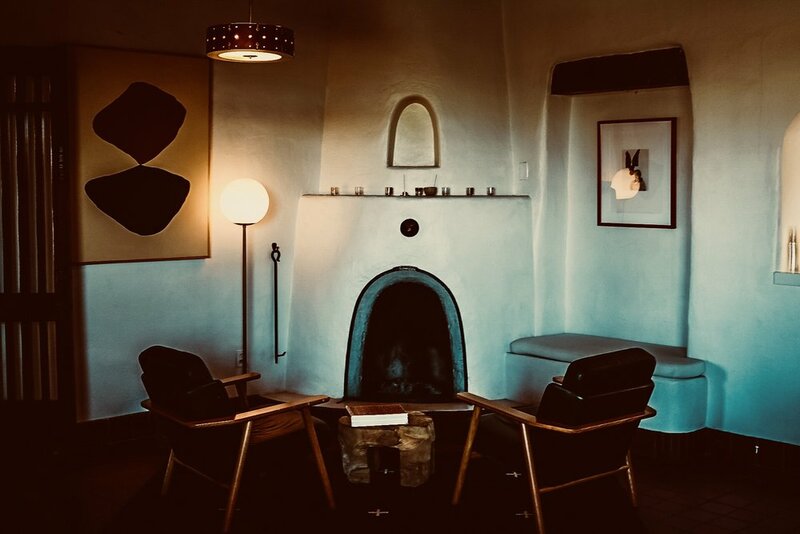 If you’re traveling to Santa Fe, you at least need to stay a night or two - not only are the rooms suuuper chill and vibey, La Reina (the hotel bar) is about as cool as they come. 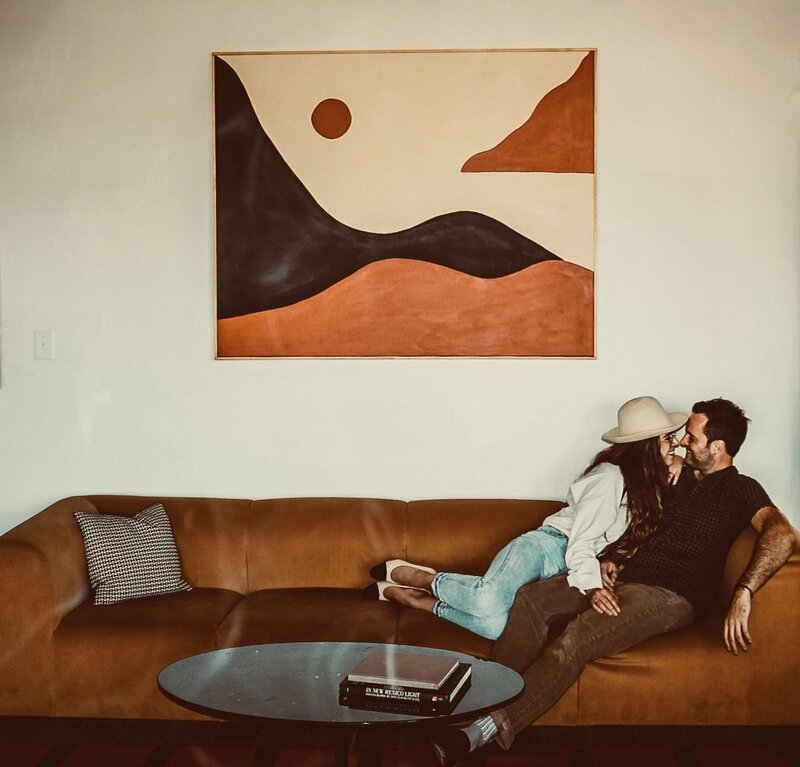 Felt a little like we were livin’ in the ‘60s and I didn’t mind it one bit - everywhere you turn there’s awesome art and the aesthetic of the entire space is an experience in and of itself. Rooms are spacious, unique and perfect for a true southwest experience. Throw in a daytrip to the hot springs in the Jemez Mountains and now you’re talkin. New Mexico is a beaut, y’all - in case you didn’t know. This spot has claimed the tagline “Where Fast Lives Slow Down” and boy do they ever. The entire time we were enjoying this hidden gem, it felt like no time passed at all. True relaxation. I should also mention - if you live in Santa Fe or travel to Santa Fe often, particularly in the summer months - you can purchase a seasonal membership to El Rey’s Swim Club which features a large pool in the heart of the property, as well as indoor and outdoor hot tubs and a sauna. If you’re familiar with the area, you know that this is not common. And, trust - you want a place to cool down on a hot high desert day. Well, there’s nothing like a relaxing weekend that requires little prep work - amirite?! Made it a girls’ weekend and enjoyed a little bit of all the resort has to offer. Ordered room service to start off my Saturday morning and it was bomb.com, legit. Pancakes + waffles with fresh fruit (please ignore my failure to focus on nutritious foods, they were good for the soul). You can’t forget to check out the Red Sage Restaurant. It’s a new American grill serving anything from Berkshire Pork Shank Christmas to Rigatoni with Chef's Sunday Sauce. Also, I should mention that I LOVE the live music at the Turquoise Trail. I’m a total sucker for a good country band! Admittedly not a gambler, but I don’t mind hitting the slots every now and then (especially when I win :)) There’s plenty to do any time of the day - and night - at Buffalo Thunder! So, if you’ve never stayed, my recommendation is that you make it a thing. Whether you live in Santa Fe, New Mexico or anywhere in the U.S. (world?) it’s sure to be an enjoyable stay! The resort is beautiful, unique and the ultimate relaxing weekend getaway. I truly can’t put into words how delicious this was. I could eat at Milad every week! I should mention that during Restaurant Week, this three course meal was $35 and on non-Restaurant Week weeks, the seafood enchiladas alone are $30. So, a really great time to check out new spots in town! Soooo lots of these food items are also available on each restaurant’s menu throughout the year. You don’t have to come during Restaurant Week to enjoy - but you should! I’ll eventually make it to all the participating restaurants 😏 you just wait. If you ever find yourself in a little old sleepy town called Clovis, you won't find skyscrapers, you won't find mountains or waterfalls, but you'll find a couple restaurants that are worth checking out. Every time I go home, which is typically just for a weekend, I try to stuff as many of these places into one visit as I can. Aaaand my pants feel it when I leave 🙈 (Not to mention my granny's homemade food that tops any restaurant I've ever been to). So, there are five places I'd recommend and one of them is solely because my best friend (hey, Steph 👋🏼) would be disappointed if I left it out 😬 It's good, yeah - but, I don't frequent it like she does. One time we ate there when we were little with her older sister (who is now my aunt because she married my mom's younger brother - they met through us when we were 5!) and we didn't have enough money to pay for our food 🙈 We were probably 8 and Nikki was 15ish. Soooo we said well it is Steph's birthday (*no it wasn't*) hoping for a discount and we got "oh that's great! Happy birthday! We'll take a Polaroid picture of you and give you a special dessert for $5 more" 😒 I'll never forget how mad Steph was, crying while we ran home and broke open her piggy bank 😂 So, I really do need to include Shogun on my list. Despite the traumatic experience, that's still Steph's favorite place to eat when we're home! Recommendation by Steph: Start off with teriyaki mushrooms and a salad with ginger dressing. Then, enjoy hibachi steak with miso soup, fried rice and vegetables! Foxy Drive In (pictured here) is a retro outlet with a varied comfort-food menu and soda fountain for dine-in, take out or curb service. It's as cool as it looks and the food is delicious! I, admittedly, used to have a very poor diet and I can't help indulging when I'm home 😳 So, you'll see that my food recommendations are perhaps a little less than desirable if you're tryna not develop diabetes 🙈 But, they're okay in moderation! My friends and I ate here every Friday for lunch in high school. We'd be in our cheerleading/football uniforms ready for game day (because football in this small town is like Friday Night Lights). Jk, but really. Can't stop won't stop (it's all fun and games until your pants don't fit, right?) Fortunately (or unfortunately, however you choose to look at this) Leal's chips and salsa are available in some grocery stores. So, taking Leal's home isn't all that difficult. I could eat an entire bag of chips and jar of salsa by myself in one sitting if I wanted to. Okay, onto the next. Twin Cronnie Drive-In. This is a quick, tasty place to drop in and grab a good soda and snack. I think I remember eating steak fingers and fried okra here years ago (not sure why I stopped?) but I do remember the okra being delicious - with ranch or gravy. I know, I know you're probably wondering if I really eat all of this junk and I used to a lot more than I do now! I still like to treat myself when I go home but my diet's a lot more structured and yoga keeps me in check. Lastly, THE hometown favorite of anyone I've ever met... Taco Box. Yep, not Taco Bell, not Taco Villa, Taco Box. It's probably just as nostalgic as it is delicious. I've had mostly everything on the menu because I couldn't begin to count the number of times I've eaten there. So, if you're only passing through Clovis and have a quick minute for a bite - this is your place. There's one in Portales, too. Recommended menu items: Snack Pack A (no sauce, cherry Sierra Mist) ⬅️ does it sound like I've been ordering that for years? I have. It's a.... big surprise.... bean and cheese burrito lol my food interests have grown exponentially since I lived in Clovis but this is what I liked when I was younger (and if I had one meal left to eat it'd be a bean and cheese burrito with a side of french fries). Also good on the menu: steak and potato burrito, mozzarella sticks (unlike any I've had anywhere else), bag of chips, monkey bites and the flavored drinks are just second to none. Sonic really can't compete. Bad habits, but I like their Diet Dr Pepper with cherry and my mom likes strawberry Mountain Dew. So, there ya have it! My five favorite spots to eat in Clovis, NM. And, I know I'm going to have to redeem myself after this post. I'll share my favorite (healthier) spots in Santa Fe and Albuquerque soon! What can I say? New Mexico is filled with natural beauty. Everywhere you turn, there's something to admire. Whether it's a charming tiled door, a field of lavender, or a waterfall like this, you just can't beat the breathtaking sights and experiences that are at your fingertips in the southwest! I enjoyed quality time with my family this Labor Day weekend and spent an afternoon hiking Nambe Falls. So close to Santa Fe and so worth the effort to take in this incredible view. I've gotta admit, I thought it was going to be a leisurely walk/hike and so I didn't dress appropriately for the occasion 🙈 My "leisurely" experience wasn't so leisurely (I really am embarrassed to share, but if you make your way here I want you to be fully prepared for what you're committing to). We were told by the park ranger that there were a couple "wet" spots along the way, so when I was knee deep in water I was a little confused 🤔 my mom and I walked barefooted for about a quarter of a mile in water (and yes, we stepped on those tiny sharp rocks that take your breath away 😵) I would highly recommend wearing shorts and hiking shoes, it would have been a lot easier BUT my mom and I are always up for adventures and we weren't going to let the wrong shoes stop us! We made it to the top (well she did, I almost did - close enough - but then I started having anxiety because I kept looking down and fearing that my clumsy self might slip and fall if I attempted to climb any higher). Boy oh boy, this was truly a beautiful sight to see! If you enjoy hiking and going on adventures but have never made your way here, I would highly recommend! As of the last year or so, because of a suggestion from some friends, I've really started focusing on taking in all the beauty of a place like this and reflecting on it before pulling out my phone to capture a shot. Sometimes I think we're so eager to get the next best pic that we forget to live in the moment and enjoy! Nambe Falls = just another fabulous hidden gem in the southwest! So, I'm not surprised that the Santa Fe Farmers' Market is regularly voted among the top 10 markets in the country - it's unreal guys! The most extraordinary flowers, fruit so fresh you're not even sure it's real and the tastiest samples I've ever tried (I gotta go back for some garlic oil because I haven't stopped thinking about sautéing peppers in it - who am I?) And, I can't forget, the smell people pay 💰 for... roasting green chile 😋 (I have to admit I used to hate the smell outside of the Clovis Walmart 🙈 boy have a grown, and admittedly have a much deeper appreciation for a lot of things in life). It was truly unlike anything I've experienced before. One of the things I enjoy most about something like this, and Santa Fe in general, is that in one spot you get to see and experience people of all walks of life - oh the vibrant culture and rich history! You can just feel it. There are people singing, playing musical instruments, laughing, smiling, tasting, smelling and embracing every second of a pleasant morning and in that moment life is just GOOD. On another note, how beautiful is this handmade backpack from Mahisi?? I love supporting a brand with a great cause. The mission of this start-up brand is to promote Indonesian textiles and to build sustainable lives for Indonesian artisans. It takes up to 6 weeks to make the products, from the weaving to sewing the textiles and leather together. I am so happy to promote a brand like this that seeks to better the lives of those that might not otherwise have opportunity. And, guess what?? My followers get a special discount with code "somewearsouthwest" 😍 It was perfect for the farmers' market and I can't wait to take it with me on more adventures this fall! Completely different topic and quite frankly very serious and sad, I'd like to devote a portion of this post to prayer and awareness. Because it's heavy on my heart and mind, I am asking you, my family and friends, to pray for my hometown and, most importantly, the families of the innocent victims of a horrible tragedy. A gunman opened fire in the Clovis Carver Public Library, injuring several and taking the lives of two people that were merely at their place of work doing good to enrich our community. I still can't comprehend that this happened in little old sleepy Clovis, and particularly to two sweet women that didn't deserve what yesterday had in store. I know God has welcomed them into heaven with open arms and they're in a better place but please pray for comfort, strength and peace for the family members and the individuals that witnessed the atrocity. May they feel God's embrace today and in the coming days. So, in closing, I would like to encourage each of you to search for the GOOD times, support the GOOD work of brands that are creating opportunity for vulnerable populations, and pray for the GOOD people who are no longer with us. There are many reasons to travel to the southwest (if you don't already live here) and I want to take the opportunity to share what I've experienced of the southwest's best with you! Aside from the natural beauty and friendly faces, the tasty indulgences are second to none. 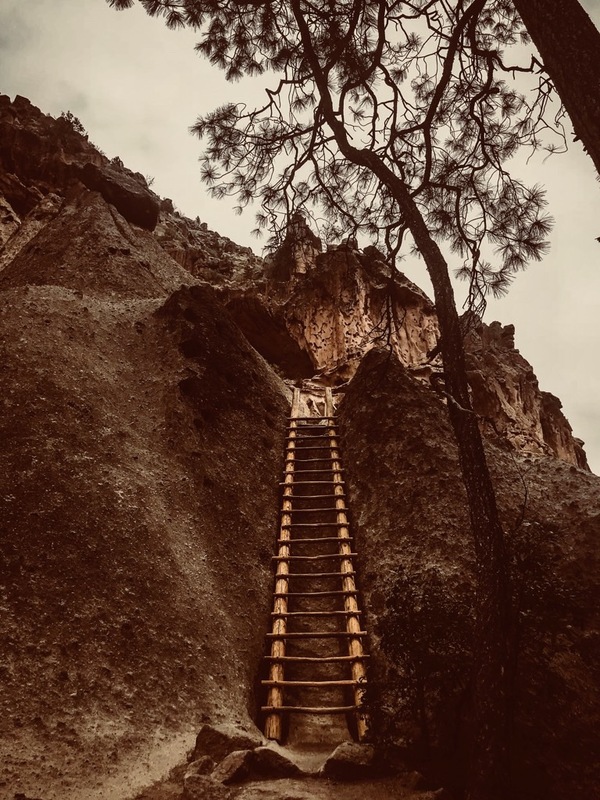 My first feature in this section of my blog highlights a cool, somewhat eerie, voted #1 margarita in the state of New Mexico, place called Double Eagle. 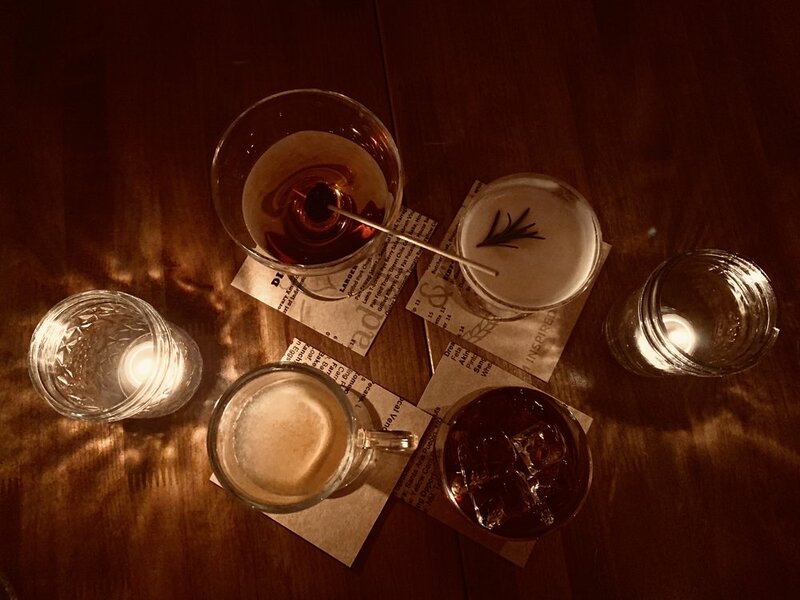 Not only does this restaurant have delicious food but amazing drinks and a bar environment that is charming and unique in and of itself. "The first owner of the house that is now the Double Eagle Restaurant, was the Maes family. The family was in the import-export business. When its base in Santa Fe was taken by the Americans after the Mexican-American War of 1846-1848, they moved south to the area now known as Mesilla. From the grand size of the house the Maes family built, one can see the family had big plans for the future–especially the mother. She was very proud of her family, it’s prestige, power and connections. Her grand plans centered around her eldest son, a teenager named Armando. She constantly reminded him of his duty to the family. They say Senora Maes had stars in her eyes. Such a big house required many servants. One of the servants was a teenage girl named Inez, who is said to have been very beautiful, with long black hair reaching her waist. Armando fell in love. He knew his mother would not approve and Armando and Inez tried to keep their love a secret. But, the shy touches, “chance meetings” in the house and other signs of love alerted the other servants to the feelings of the couple. Soon, the servants were in on the secret and united in hiding the romance from the Senora. It was not long before most of the village knew of the young people’s devotion for each other, and they too kept the secret. The Senora’s snobbish ways had not made her popular amongst the other villagers. The shy young man and the beautiful maiden walking together on an errand across the Plaza caused many an older heart to remember past days and smile. Finally, however, the Senora discerned that lovesick Armando was paying too much attention to Inez. Armando confessed his love for Inez, but the Senora refused to listen. She flew into a rage and ordered Inez from the house. She reminded Armando of his station in life and of his duty to his family, including the Senora’s plans that Armando marry aristocracy in Mexico City. Then, one day, the Senora returned early from a trip. The servants’ reactions triggered her suspicions that something was wrong. She asked for Armando, but got conflicting answers to where he might be. She walked to his bedroom and, hearing voices within, opened the door. There she found beautiful Inez — in Armando’s arms. Enraged by the sight, the Senora stepped back in shock onto the Patio area and, stumbling over her sewing basket, pulled her sewing shears from the basket. Seemingly in a trance, the Senora returned to the bedroom where Armando and Inez were hastily dressing. Without a sound, the shears were raised and then plunged into Inez’s breast. Again, the shears were raised. Armando screamed, “No, Mama! No!” and rushed to shield his beloved Inez. The Senora, unseeing, drove the shears into her own son’s back. At Armando’s cry of pain, the Senora came to her senses and, realizing what she had done, uttered a scream they say was a stricken and pain-filled as was ever given voice. The Senora stepped back to see Inez crumbled on the floor, with blood gushing from her gaping wound, while Armando, himself bleeding from the ragged hole torn in his back, cradled her and gently stroked her hair. Servants rushed to the door and witnessed the look of tender love exchanged between Armando and Inez. As Armando bent to kiss her lips, he felt her last breath brush his cheeks, now wet with tears. As Armando clung to her body, he raised his head toward a corner of the room, as if watching someone, and suddenly a smile burst onto his face. He stared raptly as if seeing something unbelievable. Then, as the Senora called his name and approached to care for his wound, Armando collapsed, never looking at her. Armando never regained consciousness and died three days later. It is not known what happened after that, but Mesilleros say the Senora did not speak from that day forward. Her last spoken word had been her dying son’s name. It is said that the young lovers’ ghosts inhabit the Carlotta Salon — formerly Armando’s bedroom — to this day. The lively commerce of the Double Eagle Restaurant must have rejuvenated the two spirits, because they seem quite active today. The ghosts make their presence known in many ways — never with malice or anger, but more like teens’ high spirited pranks. Tables left in one spot have been found in a different place the next morning. Wine glasses have been broken, without sounding the motion detector’s alarm. Whispered names and strange perfumes have also been reported. And, most famously, two over-stuffed master and mistress chairs sit in the corner of the Salon — the first clues leading to discovery of the tale. The chairs, though rarely used and newly re-upholstered to match the decor, show signs of wear. The cut velvet fabric is worn in the shape of two human bodies, one larger than the other, but both small by today’s standards. Perhaps you too will see the famous ghosts of the Double Eagle." Pretty cool, huh? You can learn more about Double Eagle here. Check back soon - this section of my website will feature restaurants, special sights, places to stay and more!